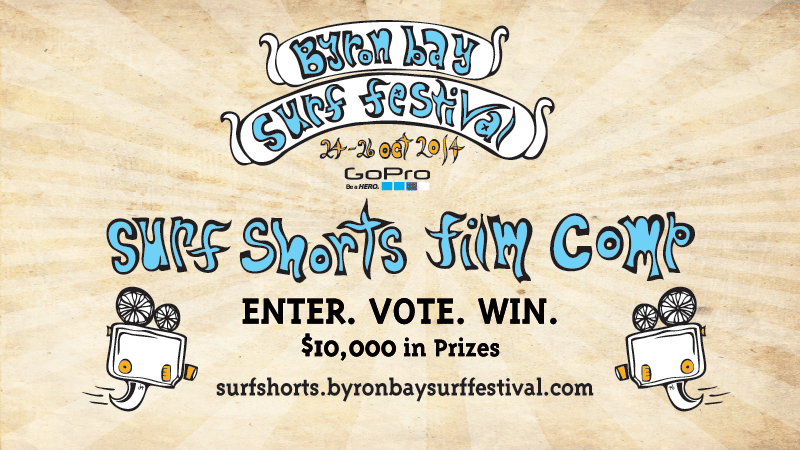 Entries are officially open for the 2014 ByronBaySurfFestival Surf Shorts Film Comp presented by GoPro. This year they’ve upped the ante on prizes, sponsorship and media coverage including a GoPro cash/prize package of $3,000 and more. The clip time limit is 10 minutes and the theme “Citizens of the Sea.” Also new is a democratic online voting format; meaning the most voted wins!